Whether you are called to serve the community at large or help meet the needs of our own parish, you'll find ample opportunities to serve here at St. Timothy Church in Columbus, Ohio. Whether you are called to serve the community at large or help meet the needs of our own parish, you'll find ample opportunities to serve here at St. Timothy. We are currently seeking volunteers to serve as Catechists for PSR (parish school of religion). Please prayerfully consider responding to this urgent call for help. What a blessing and a privilege to guide the faith formation of our parish children! Questions? Please contact Director of Religious Education, Rita Feige. What does it mean to be a Catechist at St. Timothy? Thank you for your willingness to be a part of this vital ministry! Rita Feige, St. Timothy's Director of Religious Education, will contact you in the next few days to discuss next steps. St. Timothy student-athletes work together with members of the St. Vincent dePaul society to make sandwiches for families at St. Lawrence Haven. Ongoing efforts by the St. Vincent dePaul Society here at St. Timothy include monthly offertory collections, preparation of sandwiches for the hungry, and more. Please attend one of our monthly meetings to learn more about how you can get involved with this fulfilling ministry. We gather on the 2nd Tuesday of each month at 7pm in the teachers' lounge. There is no need to register - simply show up! We would love to welcome you. On the 4th Monday of each month, St. Timothy's St. Vincent dePaul Society delivers 500 sandwiches for hungry families served by St. Lawrence Haven. The day before, all parishioners are invited to join us at 10:30 am in the cafeteria to help make sandwiches. Check the "Upcoming Events" on the home page for the next Sandwich Sunday. Questions? Contact parishioners Mary Agnes Mooney (m.mooney@att.net), Mary Fabro (mlfabro@wowway.com), or Sandy Rosetti (capock@aol.com). Let us know which activities you'd like to learn more about. 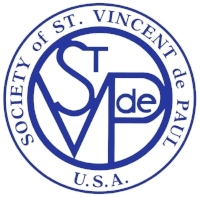 Thank you for your interest in the St. Vincent dePaul Society here at St. Timothy. Our activities are coordinated by parishioners Mary Agnes Mooney, Mary Fabro and Sandy Rosetti, who will be in touch soon! God bless you! The St. Timothy music ministry, coordinated by Dr. Larry Griffin, is made up of parishioners of various ages and skill levels who offer their time and talent to enhance the worship experience of the entire parish. CHILDREN'S CHOIR: The children’s choir (grades 3-8) sings once each month at the 10:00 a.m. Mass from September through May, as well as for the Christmas Eve Vigil Mass. Rehearsals are weekly, on Thursdays at 2:30. Contact Mrs. Kristen Babjak (kbabjak@cdeducation.org) with questions about our Children's Choir. Thank you for your interest in the St. Timothy Children's Choir! Our director, Mrs. Kristen Babjak, will be in touch soon with information about upcoming rehearsals and other details. God bless you! CANTOR MINISTRY: Cantors assist at all weekend Masses by leading through song. Cantors must have good vocal strength and quality. Ability to read music is helpful but not required. Contact Dr. Larry Griffin (musicsttim@rrohio.com) or organist Andrea Graves (andrea.k.graves@att.net) with questions about serving as a cantor at St. Timothy Church. Thank you for your interest in serving as a cantor at St. Timothy Church. We will be in touch soon with more information. God bless you! ADULT CHOIR: Directed by Dr. Larry Griffin, the adult choir sings at most 10:00 Masses September through May, and on many Feast Days. The choir welcomes new members to join them for rehearsals on Wednesday evenings at 6:45 pm. Contact Dr. Larry Griffin (musicsttim@rrohio.com) with questions about the Adult Choir. Thank you for your interest in joining the Adult Choir at St. Timothy Church! We are always happy to welcome new members to our group. Our director, Dr. Larry Griffin, will contact you soon with more information. In the meantime, please feel free to join us for rehearsal on Wednesday evenings at 7:00pm. God bless you! RESURRECTION CHOIR: The Resurrection Choir sings for Funeral Masses at the request of the family of the deceased. The members of the Resurrection Choir support the bereaving family and friends by singing and responding to the prayers at the funeral Mass. Contact Joyce Nobile (jagtwiz@att.net) with questions about the Resurrection Choir. Thank you for your interest in singing with the Resurrection Choir. We are always happy to welcome new members to this important parish ministry. Parishioner Joyce Nobile will be in touch soon with more information. God bless you! Altar servers are generally asked to serve one weekend Mass per month, and to respond to the call to serve at funerals and other special Masses as needed. Students at St. Timothy School serve weekday Masses during the school year. Questions? Contact parishioner Teresa Davidson (davidson.teresam@gmail.com) or Deacon Marion Smithberger (deaconsttim@rrohio.com). Thank you for your willingness to participate in this ministry at St. Timothy Church. The altar server coordinator will contact you, usually within 2 days. This ministry is open to all confirmed Catholics. Extraordinary Ministers of the Eucharist assist the celebrant of the Mass and serve the parish by ensuring that Holy Communion is distributed in a timely and reverent manner. Extraordinary Ministers are generally asked to serve one-two weekend Masses per month. Preferences for Mass days and times may be specified using the online Ministry Scheduler. Questions? Contact Deacon Marion Smithberger (deaconsttim@rrohio.com). Thank you for your interest in serving your parish. Deacon Marion Smithberger will contact you to answer any questions and arrange a training/orientation session. Lector schedules vary, and preferences for mass days and times may be specified using the online Ministry Scheduler. New lectors go through an orientation and training, and may be paired with a more experienced lector. Questions? Contact parishioner Kathleen Dunn (km67dunn@gmail.com). Thank you for your interest in this vital ministry. Parishioner Kathleen Dunn will contact you to answer any questions you have and schedule a time for an orientation/training. If you can't wait, you are welcome to contact the parish office at 614-451-2671. Members of the Altar Society provide and care for the bread, wine, vessels, linens, vestments, candles, flowers and anything else needed for the altar of worship. This is a ministry that appeals to the detail-oriented person who enjoys working “behind the scenes.” The work of the Altar Society is an encounter of holiness in the ordinary, where work becomes prayer and prayer springs from work. Altar Society members choose how often and how much they'd like to help. We welcome your participation with this ministry - now matter how often you are able to be actively involved. Questions? Contact parishioner Mary Ballantyne (wballant@columbus.rr.com). Thank you for your interest in the Altar Society! We will contact you soon to discuss when and how often you are able to serve. God bless you! The St. Timothy Bereavement Ministry provides a luncheon for families on the day of the funeral of a loved one. These luncheons provide an opportunity for the family and friends of the deceased to meet, eat, and spend time supporting one another. Luncheons are provided to the bereaved free of charge as a corporal work of mercy. Volunteers are needed to purchase and prepare food, and donations of food or monetary contributions are always welcome. Please contact parishioner Ann Connor at 614-451-0641 if you are interested in participating in this ministry. Have a green thumb and a willing spirit? Members of the Garden Club assist in maintaining and improving our parish grounds so that it is a welcoming and joyful place for our parishioners and visitors. All of the work is performed by dedicated volunteers and through the generosity of donations. Questions? Contact St. Timothy parishioner Nancy Schell (614-582-7742). Thank you for volunteering to be a part of the St. Timothy Garden Club! We will contact you soon with details on how you can help make our parish ground more beautiful and welcoming. God bless you! The Serra Club of Columbus promotes vocations to the priesthood and religious life, guided by the words of their patron, St. Junipero Serra: "Always forward, never back." Activities include annual altar server awards, vocation luncheons for young men and women, religious sister luncheon, and monthly holy hour for religious. Serrans have been generous in offering their support to those who hear the call to serve Christ in the priesthood. Members of the New Evangelization Club are committed to share their joy in the Gospel through evangelization. The Pontifical College Josephinum partners with members of our parish community to bring the Gospel to the neighborhoods in St. Timothy Parish. All are welcome to take part in this exciting ministry, whether you hit the streets as a part of the evangelization team, or support us in prayer during our travels. Thank you for your interest in sharing your joy in the Gospel with our New Evangelization Club!